Nintendo Wii Console. 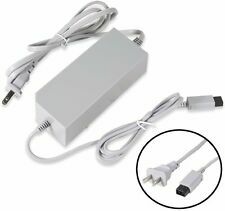 1 x 100v-245v Wii Power Adapter Unit (RVL-002). 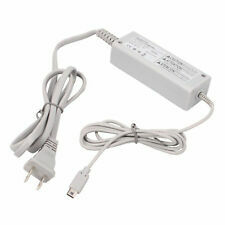 Replace the old or broken power adapter. Output: DC 12V 3.7A. Low interference/ noise reduce unit. They are all genuine Nintendo parts and have been tested and cleaned to ensure they are in good working condition. 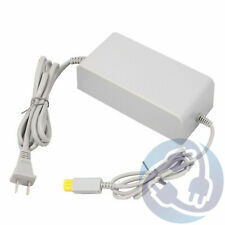 New Original Nintendo RVL-002 Wii Console AC Wall Power Adapter. Nintendo Wii (NOT FOR Wii U). 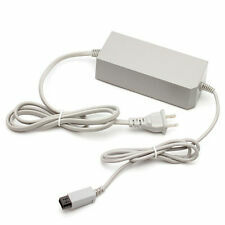 The AC Adapter provides power to your Wii console system and may be used with any 110-volt outlet. Input: 120V AC, Output: 12V DC, 3.7A. Wii Console System. Output: DC 12V 3.7A. Perfect replacement for lost or broken systems for nintendo wii game console Universal voltage input lets you take your Wii to anywhere in the world without a heavy voltage converter Overload and short circuit protection to protect it from damage Replace worn, damaged, lost, or broken Wii power cables with this AC adaptor Plug fits standard US wall outlets . Condition is Used Working conditions! 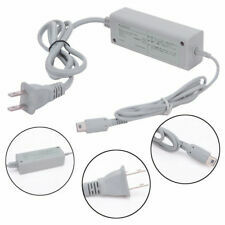 OEM ORIGINAL Power Supply Adapter Cord Home Wall US Plug RVL-002 Nintendo Wii. Condition is Used. Free shipping. Exclusively designed for Wii U console. Shell Material: ABS plastic. Output: 4.75V 1.6A. Input: AC 100 - 240V 50/60Hz 230mA. - Short-circuit protection and built-in overcharging protection. We will send you a new one after receiving the default item. This power cables are Authentic and will work or your money back. Tested and working. Buy before there gone. Nintendo Wii U Console. Output: DC 15V 5A. Power: 75W. We will work on resolving your particular case ASAP. Just give us the opportunity to resolve a problem. 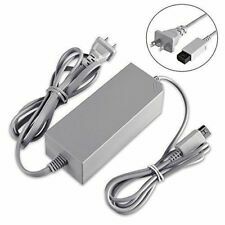 Genuine Official Nintendo Wii AC Power Supply Brick Adapter. I hope the pictures will be of assistance and this lot will be a treasure find for the lucky winner!The AC Adapter is in GREAT Used Condition. Due to our lack of knowledge, this lot is sold as is. Prevent strong interference and lightning, surge, overload or short circuit can be avoided altogether. Plug Type: US plug. Output Current: Other. Compatible with:For WII. 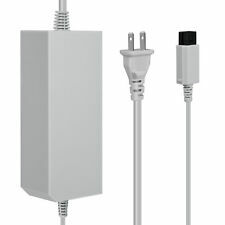 1 x Adapter (US plug). Output: DC 4.75V 1.6A. Nintendo Wii U Console. Output: DC 15V, 5A. Input: AC 100-240V, 50-60Hz. Power: 75W. We will work on resolving your particular case ASAP. Will only fit Wii U console. 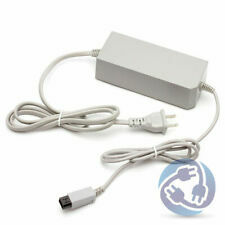 OEM OFFICIAL Nintendo Wii Power Brick RVL-002. 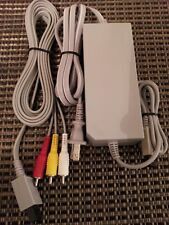 You are buying 1 authentic official Nintendo Wii Power Cord. Condition is Used. The pictures are the actual item you will receive. Nintendo power brick supply cord works great. 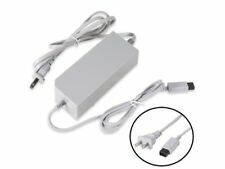 AC Power Supply Adapter Cord Home Wall US Plug RVL-002 100-245v for Nintendo Wii. Condition is New. Shipped with USPS First Class Package. Trending at $8.39eBay determines this price through a machine learned model of the product's sale prices within the last 90 days. [We always make an effort to keep it upto date. ]. 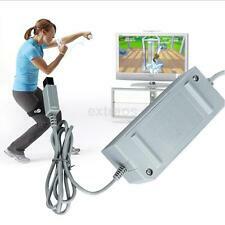 Nintendo Wii US Plug. Over load protection: 115%-135% fold back current limiting,Auto-recovery. Note: Pls make sure the output and tip size is correct before use. We add new inventory daily, so add us to yourfavorites list if you want first dibs on more marked down designer clothing. 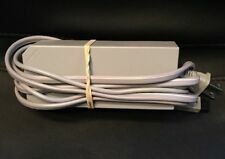 Nintendo Wii Power Supply RVL-002 (USA)- Sensor Bar - All OEM. Condition is Used. Shipped with USPS Priority Mail.